Jo is a highly specialist Clinical Psychologist with extensive experience in working with individuals, couples and families. She has an additional qualification in family, couples and systemic psychotherapy as well as training in CBT particularly third wave therapies such as acceptance and commitment therapy, compassion-focused therapy and mindfulness. 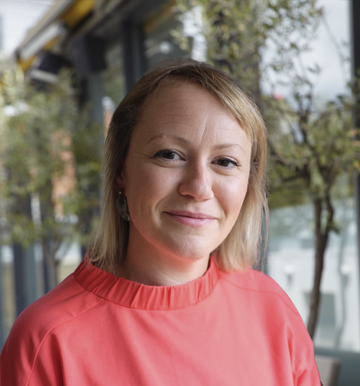 Jo has been in clinical practice since 2007 and currently combines working in the NHS for South London and Maudsley NHS Foundation Trust in Adult Mental Health with private practice. She has a role within the BPS providing training and guidance on family work in adult services and is a supervisor and teacher of systemic practice, family work and other psychological approaches. Jo will provide a safe space for you to explore your difficulties whilst feeling supported. She believes in a collaborative approach to therapy working together towards change you want. This can be either for an agreed period of time or for longer periods if required. Her systemic qualification and work with families has provided her with specific skills in exploring relationships and understanding the impact of family and relationships on individuals and learning ways to cope with the complexity of life. She works with individuals, couples and families who have a diverse range of issues including anxiety, depression, bi-polar, relationship difficulties, fertility, panic disorders, obsessive compulsive disorder, psychosis, trauma, abuse, couples conflict and self-esteem. Jo is a member of British Psychological Society and Association of Family Therapists.